“Unjust policies” that leave migrants in limbo over their future is causing them to turn to drug use, a new study has revealed. The study found that many homeless migrants are being kept at Mount Carmel Hospital out of humanitarian goodwill or provision of care, “despite the high risk of institutionalisation”. “Systemic neglect” of migrants could lead to the incarceration or continued hospitalisation of individuals, the study warned. The study was conducted by the Foundation for Shelter and Support to Migrants and the Richmond Foundation who interviewed both substance users and professionals who worked with the migrants. As a result of the study, over 100 migrants and professionals have been given training or support. Findings pointed to a “great recidivism problem”, with migrants facing mental health challenges being admitted to Mount Carmel only to fall into a recurrent pattern of discharge and readmission. The main risk associated with repeated relapse is the inability to obtain legal status. Having no access to decent housing is also seen as one of the most limiting challenges inhibiting recovery. 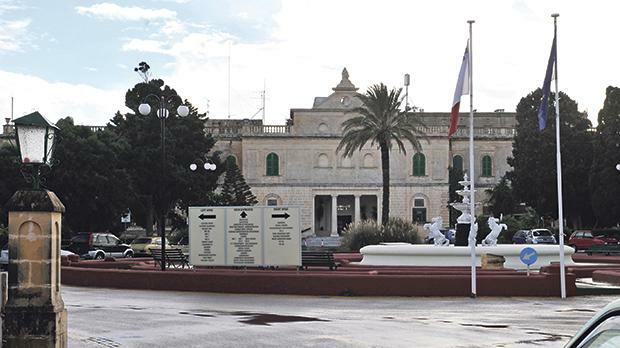 The majority of users who were released from Mount Carmel hospital or prison were either homeless or struggling to find dignified accommodation, the report noted. The precarious living situations may even significantly increase the risk of mental health deterioration and relapse. Experts in the field also point towards “dramatic” space saturation at government open centres for migrants and homeless shelters. This also led to poor mental health, the report noted, adding individuals who had not been given a refugee status were struggling to find accommodation. These individuals were also at risk of additional barriers to accessing services and rights, the report added. The lack of staff in governmental institutions meant that professionals could handle only selected or severe cases. Professionals who participated in the study said a major difficulty in helping the migrants was referral to mainstream services. This was typically lengthy and complex, and “often for nothing”, one participant lamented. Professionals also lamented they had to deal with the policy limitations that are faced by the migrants. The lack of availability of translators and interpreters was also a major problem for professionals to work with their clients, develop care plans, and support clients to commit to these plans. “It impacts my work greatly since the language barrier is a huge boundary in service provision and it’s hard to establish therapeutic rapport in this case and formulate a rehab programme,” one participant said. Concluding the report, the Foundation for Shelter and Support to Migrants said the findings would not be effective unless there was an equal effort to create policies that were just and effective in promoting the support and long-term inclusion of migrants in society.